Darico is an asset-backed coin backed by gold, Bitcoin and Ethereum. Each token is comprised of 55% bitcoin, 35% gold, and 10% ether. Darico is ideal if you want exposure to the two leading cryptocurrencies with the stability of gold to anchor the price fluctuations. 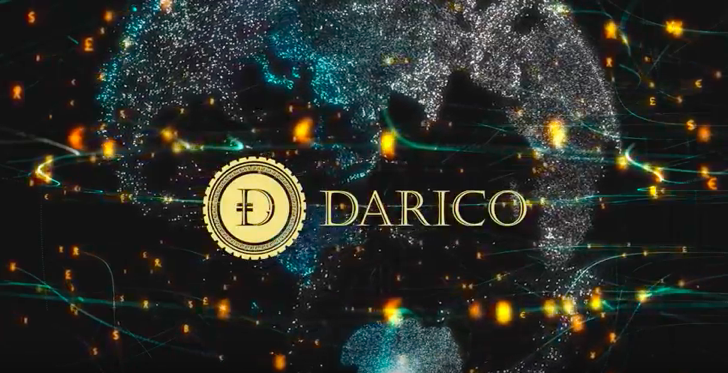 With the purchase of Darico coins (DRC) you will then have exclusive access to all Darico products, including the wallet, terminal, liquidity pool, exchange and private fund. The Darico app is the gateway to access the Darico wallet, news, trading and index information. The terminal will be a source of cryptocurrency information that will emulate Bloomberg in being a central information source for financial markets. The terminal will be a subscription-based hub for crypto investment information, news and analysis. With the Darico cryptocurrency exchange you will be able buy, sell, and trade cryptocurrencies. Track coins by adding them to your watch list. Integrate your current BTC and ETH wallets to keep on top of your investments. Have your DRC coins on hand with you at all times with the Darico debit card, which is linked to your Darico wallet. The Darico Card will act as a method of payment that holders can use in any outlet that supports DRC. The Darico debit card is expected to launch in Q3 2018. The Darico Index Fund will be constituted as a cryptocurrency index fund that holds a range of highly liquid cryptocurrencies. The number of currencies held by the fund will change over time but is likely to be between 10 and 20. The currencies will be selected and weighted within the fund according to a combination of factors that includes their risk profiles and liquidity status. The Darico ICO begins on the 30th January 2018 and runs for 6 months, ending on the 30th July 2018. There is am initial 30.0% bonus until 12 Feb 2018, and the bonus then reduces by 5% until the end of the ICO. Due to legal restrictions, US residents aren’t allowed to participate in the sale. For more details read the Whitepaper or visit Bitcoin Forum. Once you have BTC/ETH you need to transfer it off the exchange to a wallet. For ETH, MyEtherWallet is a recommended option. From here follow the instructions given by Darico on how to send BTC/ETH. The DRC tokens will then be swapped directly to the same wallet that your funds came from. – This is an ICO news announcement and not an editorial endorsement. As with any financial commitment, do your own research the before investing. – Read more about gold-backed cryptocurrencies.